Two F-16s were ordered to intercept and identify this phenomenon, and one of the jet's radars locked the object in. It appeared as a small diamond on the pilot's screen. An hour long chase ensued, during which time the F-16s picked up the strange craft's signal two additional times, only to see it fade from view. Another unusual occurrence associated with the Belgian flap was the inability to take a clear photograph of it. Many observers had their cameras ready, and took what they thought would be clear images, but when the film was developed, the image was blurred, and the craft's outline was vague at best. This anomaly was addressed by physics professor Auguste Meessen, who was employed by the Catholic University at Louvin. 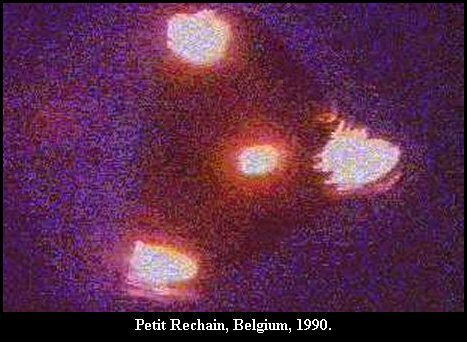 Meessen's investigation produced a theory that infrared light must be the reason that almost all the images were unclear. To put his theory to test, he exposed film to infrared, then photographed objects in regular light. 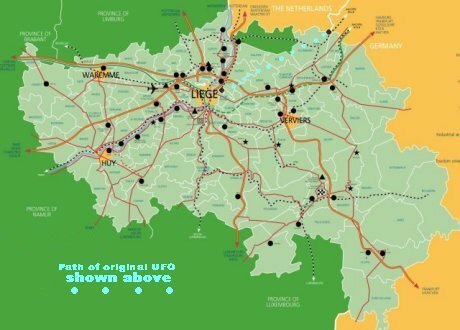 The results were the same as the photographs of the triangle-shaped UFO.